Compatible with hydraulic braking systems. 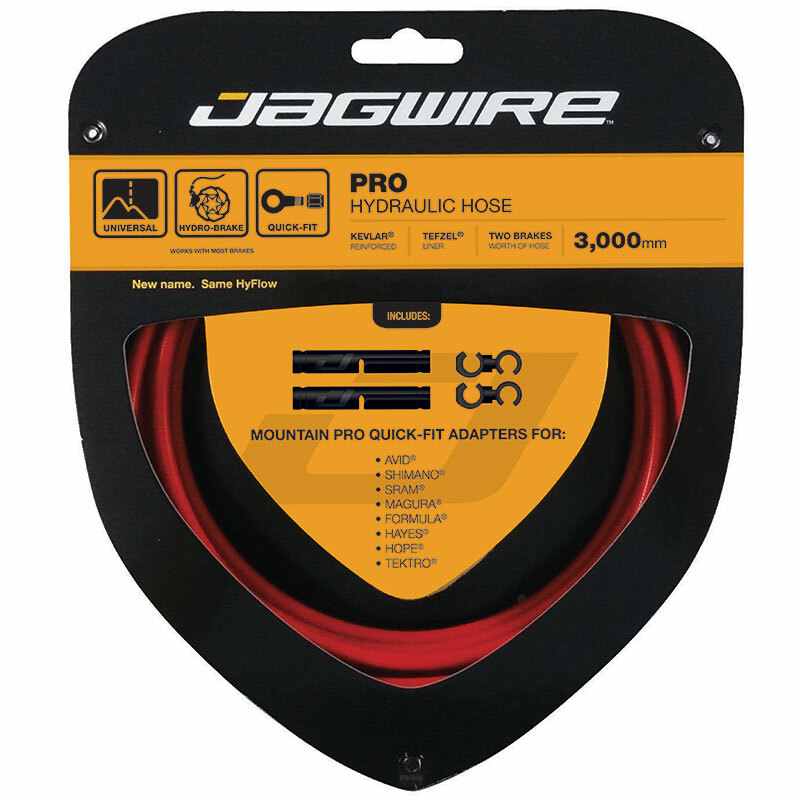 Jagwire hydraulic hoses incorporate Quick-Fit adapters to offer compatibility with most popular brake systems. Designed to work seamlessly with our Pro Hydraulic Hose, Jagwire Quick-Fit™ Adapters are the perfect way to ensure braking performance and durability. 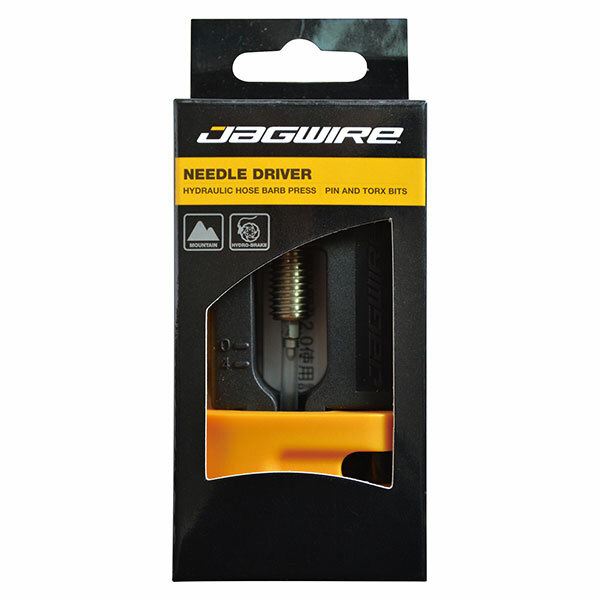 Each adapter kit contains all the components required to connect Jagwire Pro Hydraulic Hoses to popular brakes from SRAM®, Avid®, Shimano®, Formula®, Hope®, Hayes®, Magura® and Tektro®. 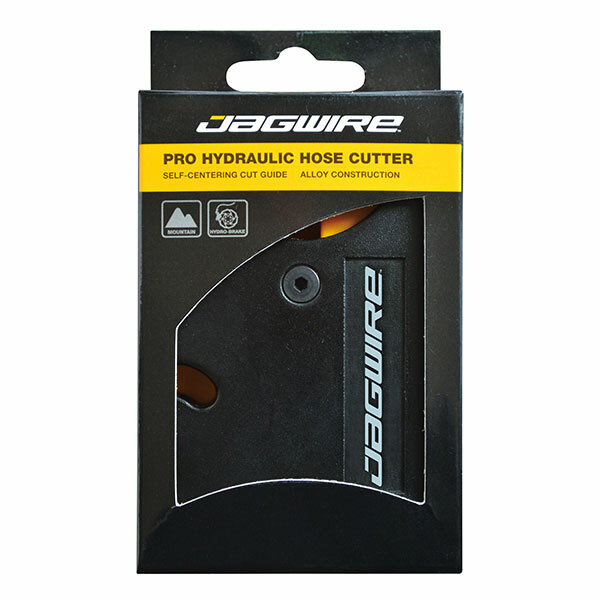 These fittings are designed to work with Jagwire Mountain Pro Hydraulic hose.